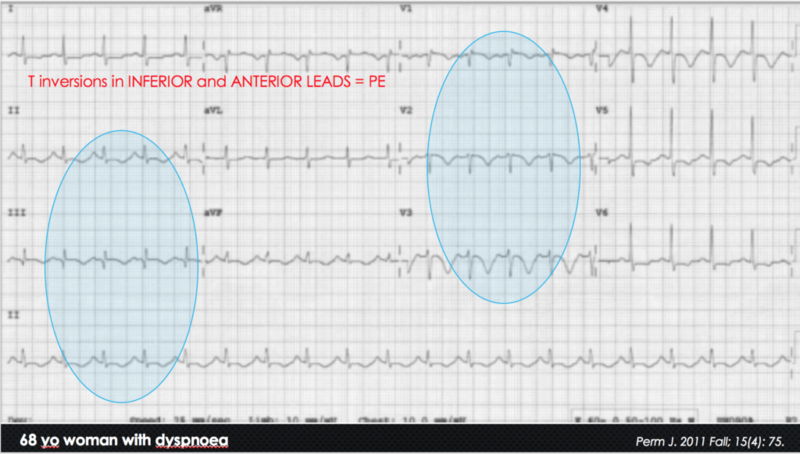 My response,”She has a PE, why do I need to look at the ECG?” Correct, however it isn’t always this straightforward and in same cases, as shown in the literature, the ECG changes may be mistaken for ischaemia. There are PE’s that are significant and those that aren’t. Most of us are walking around with PE’s and don’t know it. These are those sub segmental PE’s that the lungs clear. 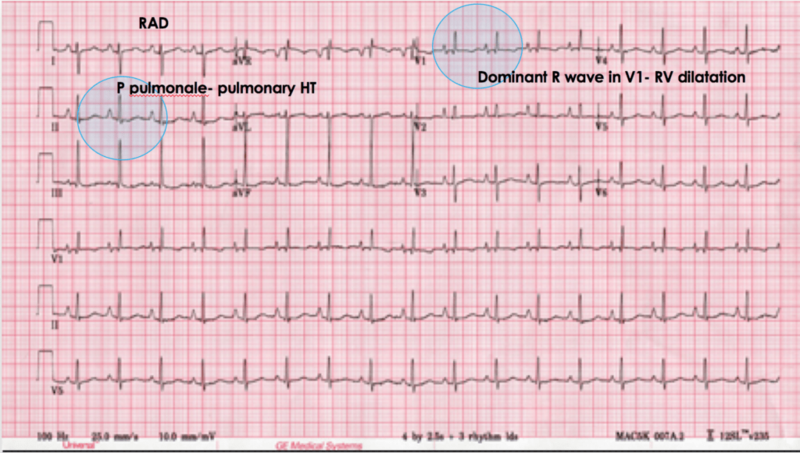 Perhaps then, the most common finding on ECGs is normal sinus rhythm. 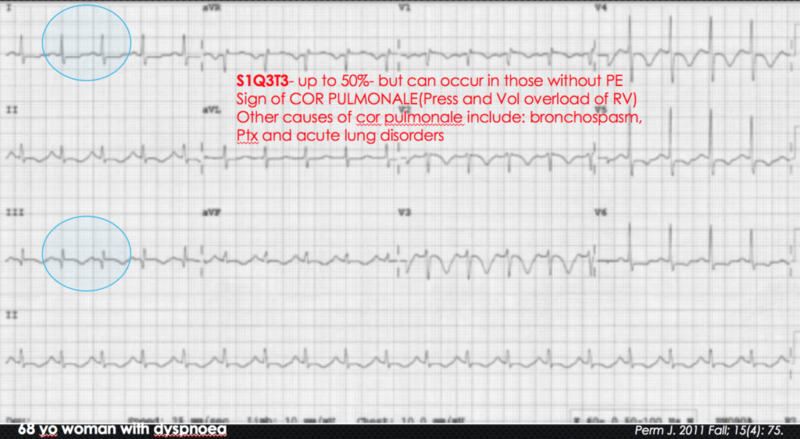 Here is a list of finding on ECG in someone with a pulmonary embolism. 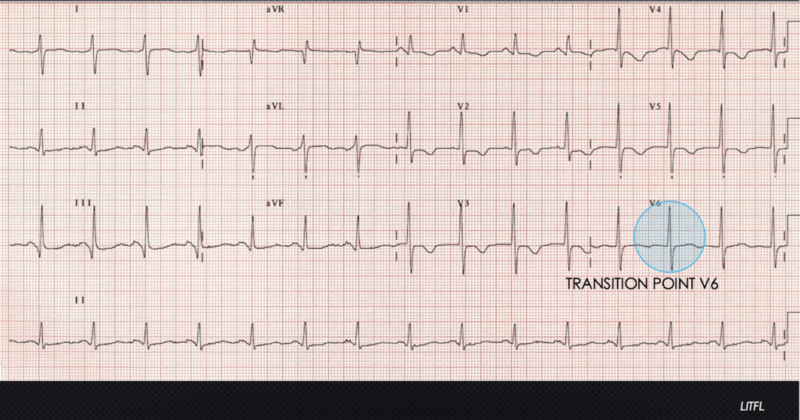 T wave Inversions in the anterior and inferior leads. The most specific finding.